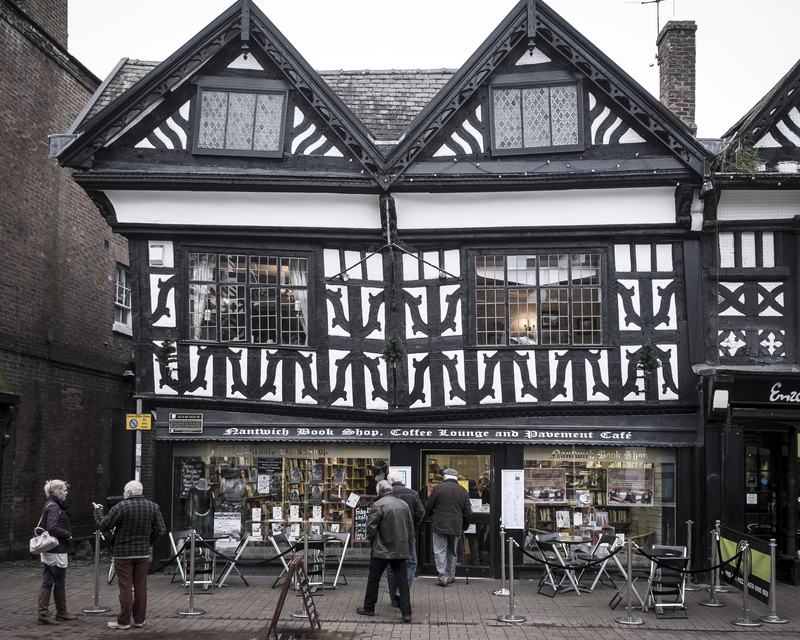 46 High Street; probably built after the Great Fire of Nantwich (1583) – Nantwich Bookshop, Coffee Lounge & Pavement Cafe. 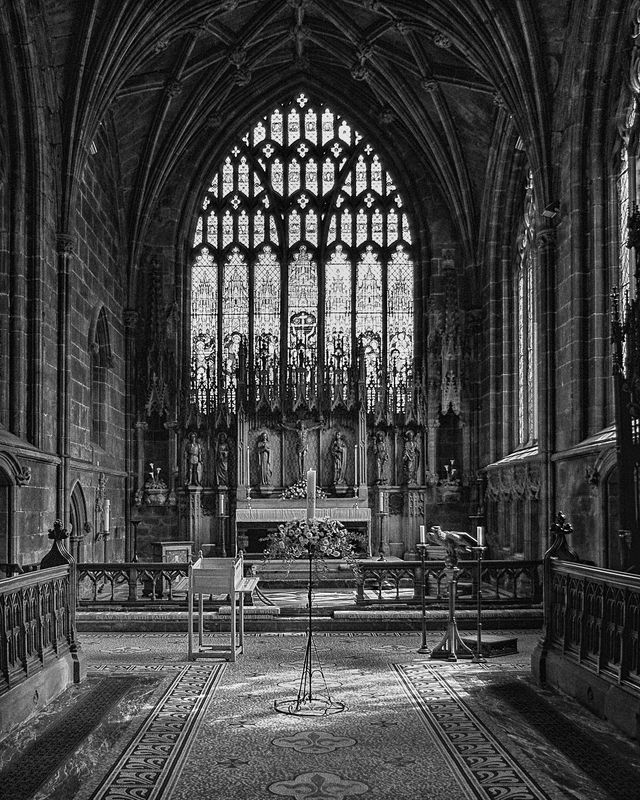 The My Town project is drawing to a close; my ƒ50 Collective friends who have posted their submissions have chosen cities: Lincoln, New York, Manchester and Liverpool. I’ve chosen Nantwich, a small market town in south Cheshire. 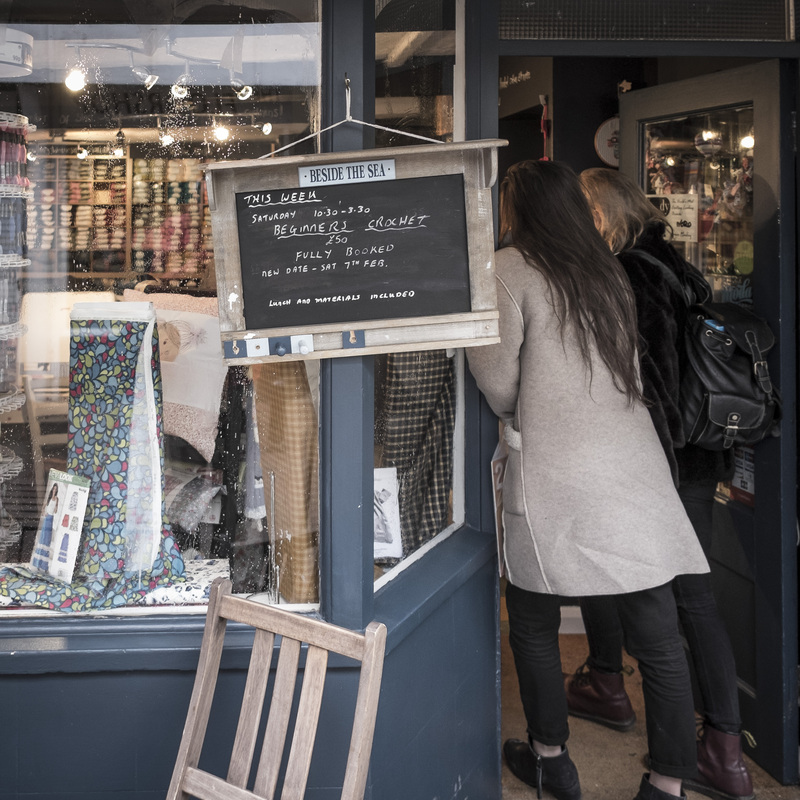 I don’t live there but it is only a 10-minute drive from my home and I’m frequently in the town to shop or just wander about – with a camera, of course! 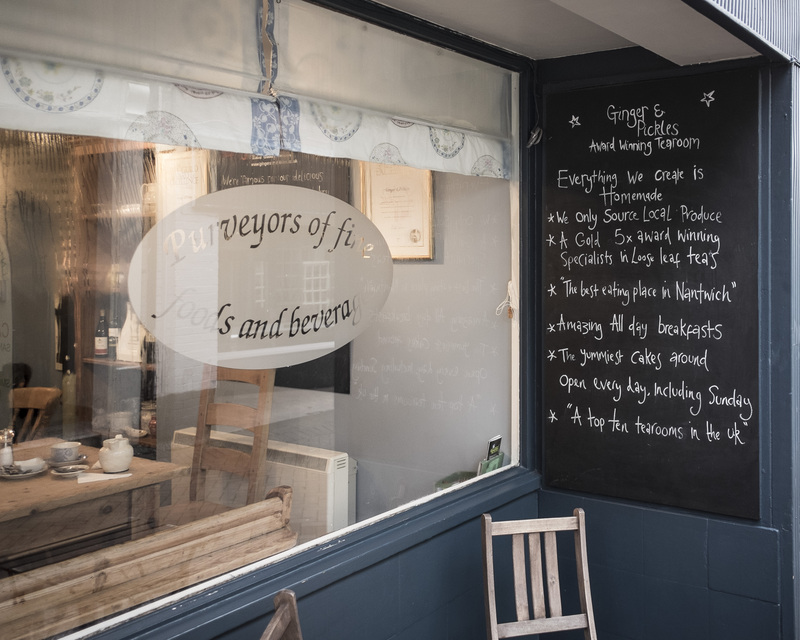 The town has lots of interesting things; quirky shops, cafes, great architecture, a couple of bookshops, slightly upmarket “thrift” shops – it seems churlish to call them charity shops! – and history. And what a history! The Romans arrived to pan for salt; there was a battle during the English Civil War; the town experienced its own Great Fire in 1583. In more recent times there were shoe and clothing manufacturers, coach builders and wheelwrights. It played a part in the Cold War having a nuclear bunker and monitoring centre a few minutes drive from the town centre. 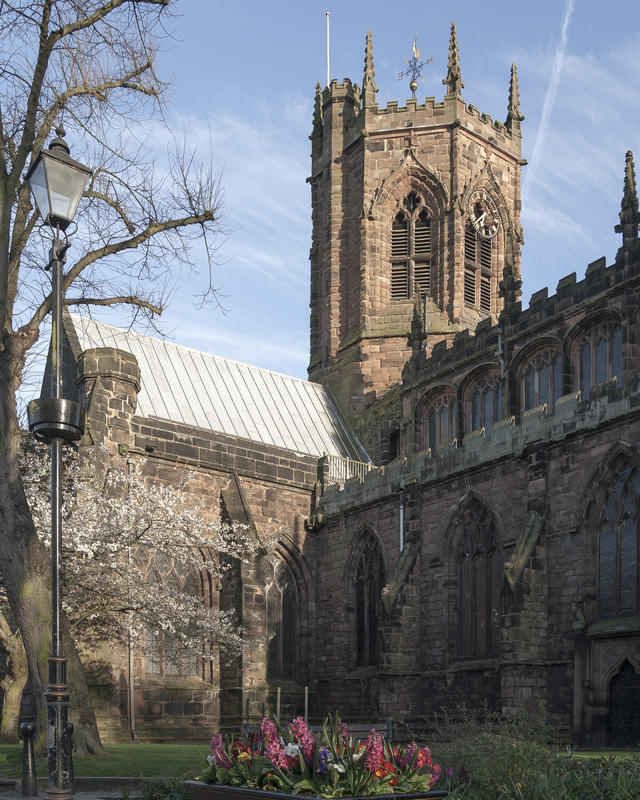 Outside of Chester, Nantwich has the greatest number of listed buildings totalling almost 200! The oldest is St. Mary’s Parish Church, which dates back to the 14th Century. 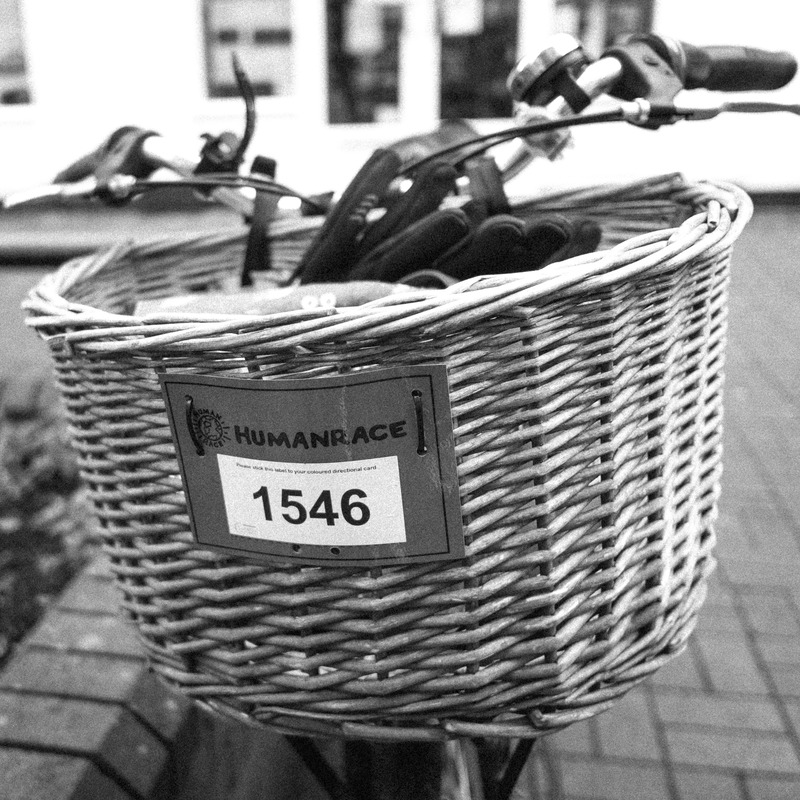 The most recent dates from 1911 – numbers 1 to 5 Pillory Street and 2 Hospital Street. This building is constructed in the French baroque style of the late 17th Century. Following the fire of 1583, Queen Elizabeth I donated a considerable sum to the town to assist in its rebuilding. This charitable act is commemorated by a plaque, which can be found on Queen’s Aid House, 41 High Street, a property which benefitted from the donation. Enjoy the images and do visit if you’re ever in the area; you’ll not be disappointed, I’m sure. The parish church of St. Mary’s built in the 14th Century. 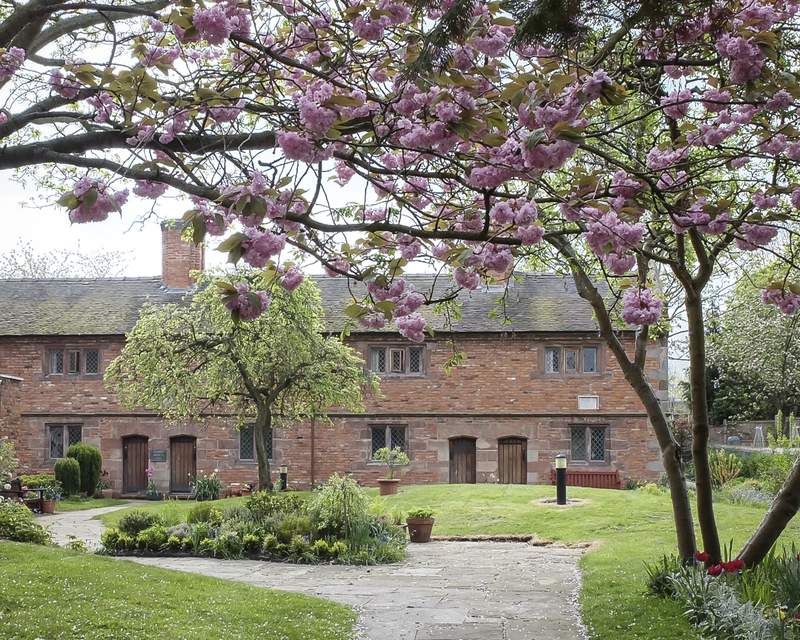 After the battle of Nantwich (25/26 January 1644) it was used to house prisoners; you can find musket shot holes around the outside of the church. The battle is commemorated on the Saturday closest to its date – it is named Holly Holy Day after the defenders who put sprigs of holly in their caps. 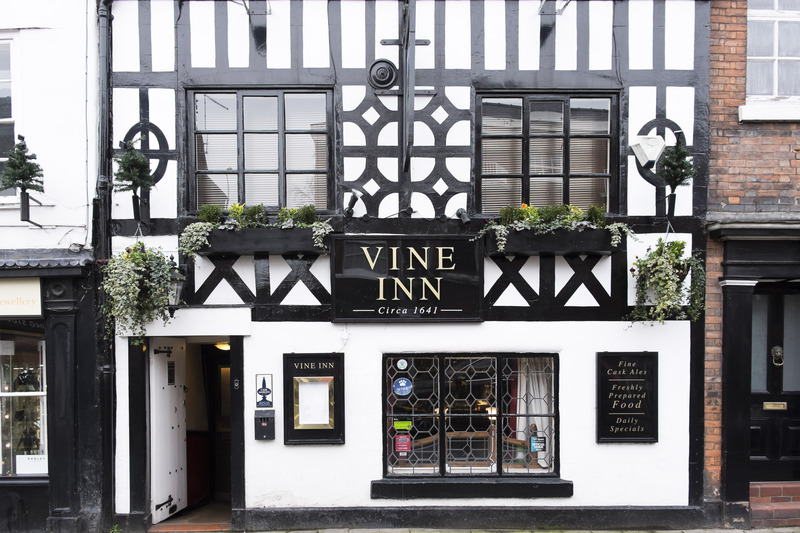 The Vine Inn, Hospital Street was built circa 1641; it’s a popular venue during the annual Jazz & Blues Festival held every Easter in the town. Wrights Alms Houses in Beam Street – they were originally situated on London Road but were moved to their current site in 1973-75. They now provide accommodation for the elderly. 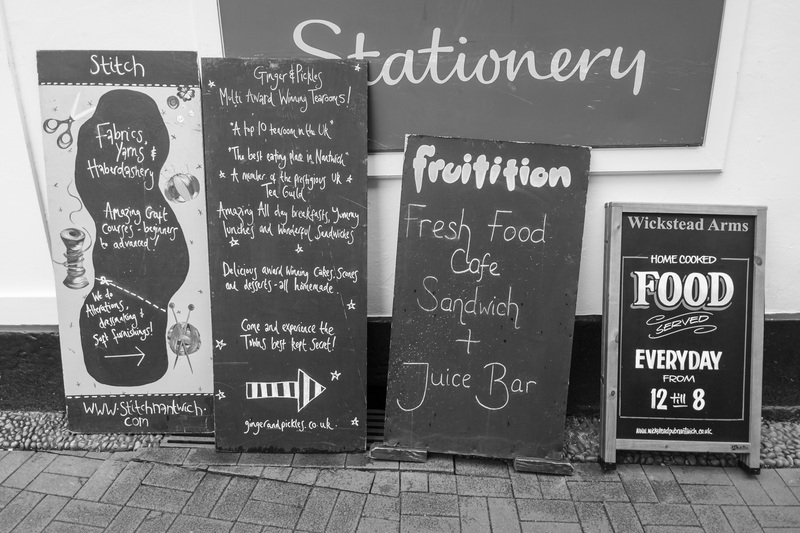 Day to day life in Nantwich – eating, shopping, sight-seeing and more! There is always something going on! 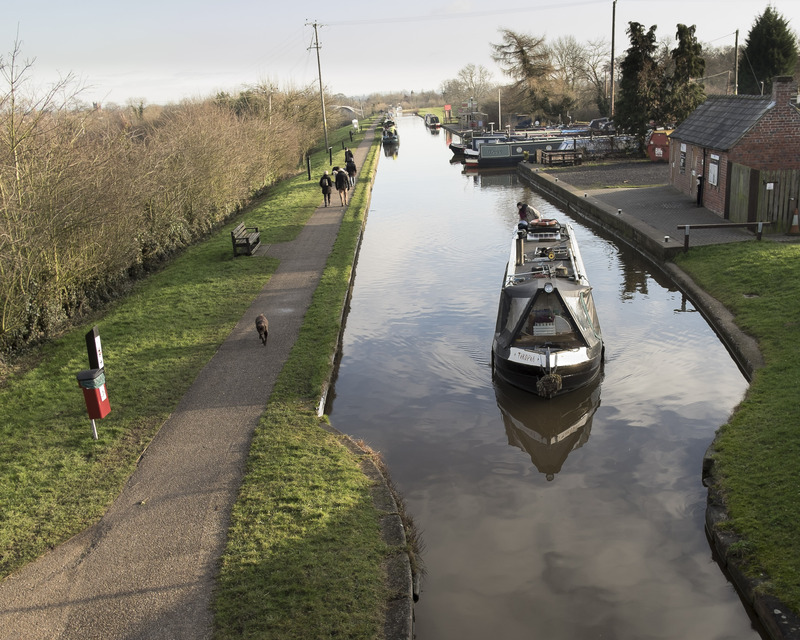 At the western end of the town is the Shropshire Union Canal built in 1772; you can hire a barge for the day at Nantwich Marina. 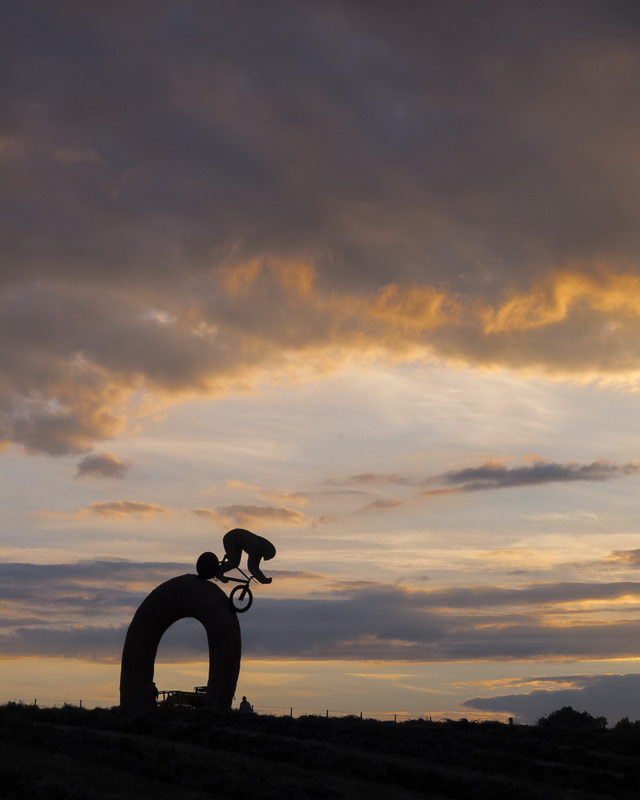 Just past the marina is this sculpture celebrating the canal horse. Before barges were able to move under their own power, a shire horse was used to propel the vessel along what became known as the tow path. A couple of miles outside the town is Snugbury’s Ice Cream farm and jolly nice it is, too. 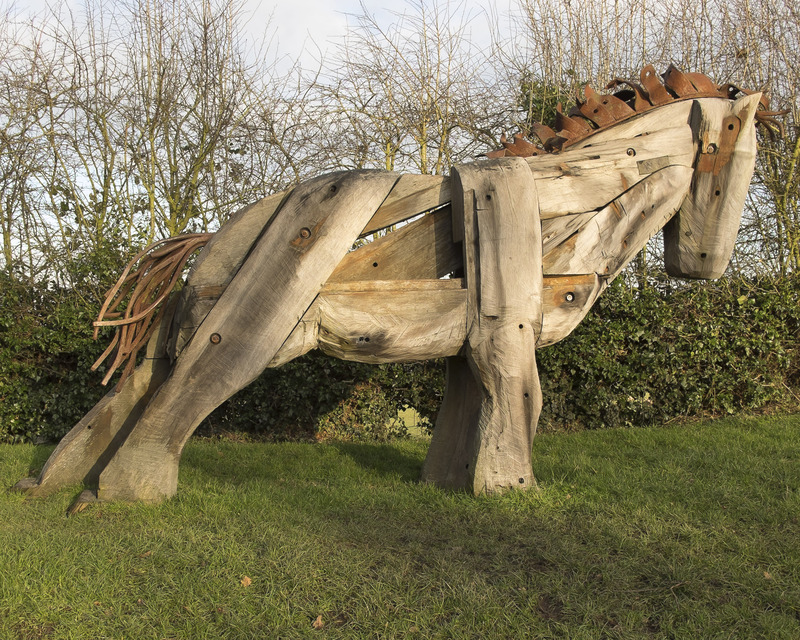 For several years Snugbury’s have built hay sculptures promoting the farm. This is 2012’s offering supporting Bradley Wiggins in his successful year winning The Tour de France and gold medals at the London Olympics. What a wonderful town with such history Tony. I’m surprised 46 High Street still stands. Looks a bit dodgy on those upper floors! Seeing these images makes me feel like a little kid again. It brings back so many memories of visits to English towns.